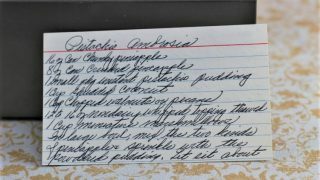 Front of the recipe card for Pistachio Ambrosia. 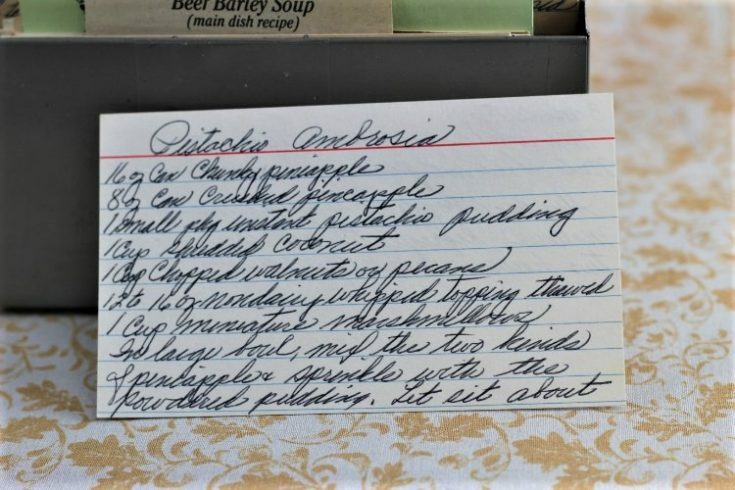 Back of the recipe card for Pistachio Ambrosia. There are lots of fun recipes to read in the box this recipe for Pistachio Ambrosia was with. Use the links below to view other recipes similar to this Pistachio Ambrosia recipe. If you make this Pistachio Ambrosia recipe, please share your photos and comments below! 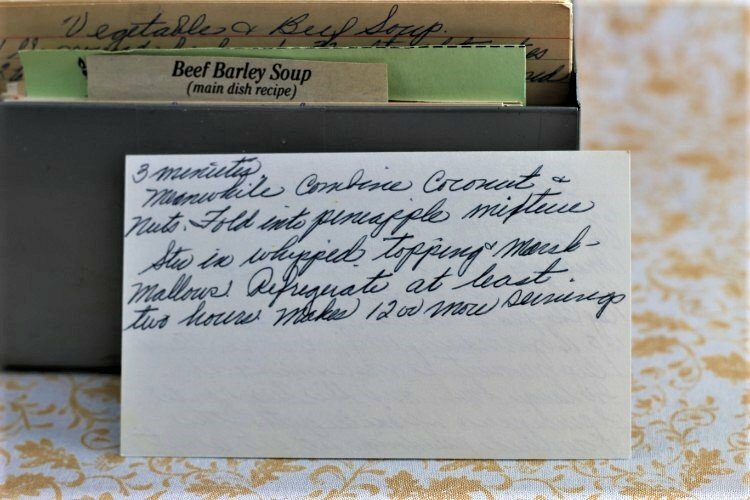 In large bowl, mix the two kinds of pineapple & sprinkle with the powdered pudding. Meanwhile combine coconut & nuts. Stir in whipped topping & marshmallows.